SteamWorld Dig 2 is another Metroidvania title that I’ve played this year. 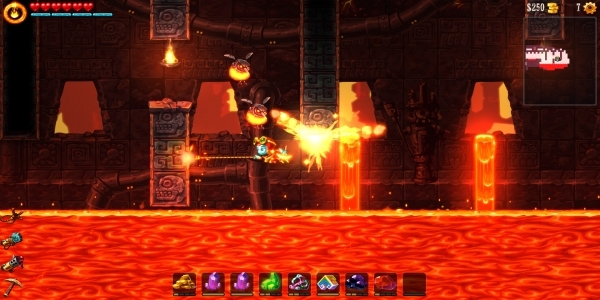 If you’ve played the original SteamWorld Dig then you will certainly notice some changes. I’m not really fond of Metroidvania style games due to their backtracking, but I absolutely adore these little steam bots. So I’ll try to forgive them for some backtracking. So if you’re ready to lay claim to a mine, and get to digging, let the adventure begin! – Lacks Boss Fights Compared to other Metroidvania’s. The original SteamWorld Dig was a wonderful indie gem that hopefully you’ve played by now, and if you haven’t played it, you should try it. It was not without a few problems or quirks, however. The community voiced their thoughts about how they would have preferred your health to regenerate, more flexibility with upgrades, new ways to play, and other small little tweaks and concerns. SteamWorld Dig 2 took all that feedback and applied it. No longer do you have to pay to refill your health or lose a percentage of your earned income from dying, but now you get your health back every time you go to town. This is a great change, as the lack of refilling health used to irritate me with the first game. I can distinctly remember the feeling I had when I was really low on health and decided I didn’t want to pay to refill my health only to die and respawn losing my money. After I lost 98 gold for doing that, I was kind of bitter, and considering that happened a few years ago, and I still remember the amount, it left an impression. Now it’s a thing of the past, and I’m ready to rejoice. You also have an upgrade system called cogs in SteamWorld Dig 2. This allows you to play the game your way, modifying your gear how you choose to do so, allowing you to play the most optimal way for your play style. This is pure genius and absolutely gold. I found myself hunting for all the secrets so that I could install every cog that I wanted. You can even buy cogs from a vendor; they increase in price with every purchase, but it did not deter me. I wanted my cogs. The gameplay and level design is excellent. SteamWorld Dig 2 has platforming puzzles, but they never get frustrating. In fact, there was only one puzzle towards the end of the game that stopped me for a few deaths, but I was never discouraged. I just pressed on and kept at it till I got the job done. 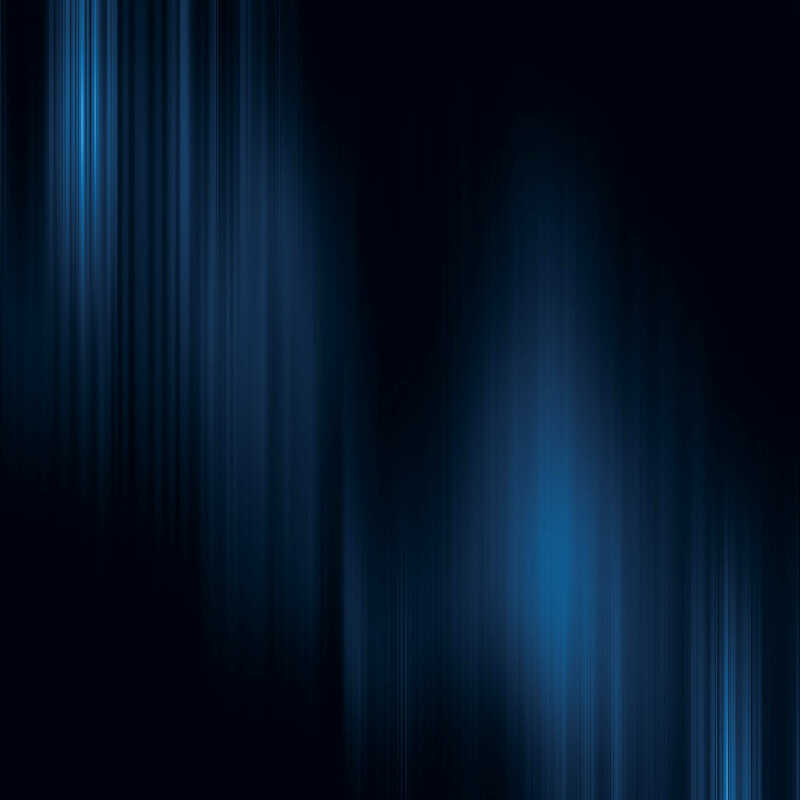 The back tracking makes sense, and it never actually feels like back tracking; you always just feel like you’re progressing and heading towards your next objective. The teleports are pretty frequent, which helps because, if you have a good idea of where you need to go, you can just teleport to the nearest tube and begin your search. The quest system and indicators are also slightly better in SteamWorld Dig 2 than it was in SteamWorld Dig, which is quite helpful. 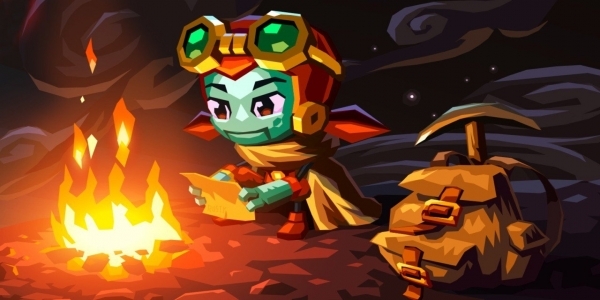 SteamWorld Dig 2 is perfect for taking on the go due to the easy start and stop gameplay that you can do at a moment’s notice. You can almost be interrupted at any point, set the game down, and come back to it without skipping a beat, and it plays great in hand held. It also doesn’t drain your Nintendo Switch battery like most games. In fact you, can almost play through most of the game with one full battery charge. That’s just crazy. 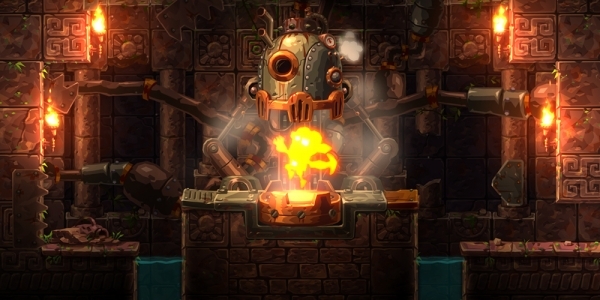 I thoroughly enjoyed my time in SteamWorld Dig 2, but I have one major complaints: I was left wanting more. I can’t even believe I’m saying that since it’s a Metroidvania title, but I just want more. The game has a huge map, and even after I beat it, I went back and cleared all the map, digging out secrets and creating pathways. If you take your time and really hunt for stuff before you beat it, it’ll take you about 10 hours to complete. SteamWorld Dig 2 is $19.99 USD. Is that worth 10 hours? I think so. I think the game does have replayability; you’ll want to beat it more than once, and if you’re into speed running, it may even be a game you’d like to try and beat as fast as you can and get your routes down. I know for some people, 10 hours may not be enough, but that’s up to each gamer to decide for themselves. For those of you that like boss challenges like myself, your not going to find that in SteamWorld Dig 2. There is only one boss fight, and it’s at the end. It is a crazy bullet-hell style boss fight, and I find myself wondering why couldn’t the developer have given me more of this throughout the game. The developer, Image & Form, is obviously capable, and I hope that maybe in the next game of the series we can get more boss fights. Other than those two complaints, there really isn’t anything else about SteamWorld Dig 2 that I didn’t like. I just felt like it was such an improvement over SteamWorld Dig. It does make me look forward to, and give me hope, for the next installment. The game ends on a bit of a cliffhanger and I need some resolution. 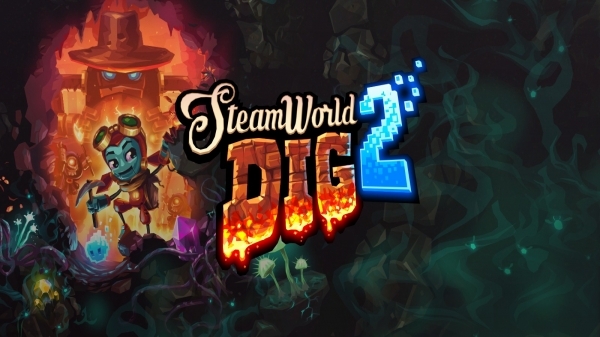 SteamWorld Dig 2 is available for digital download on the Nintendo eShop for $19.99 USD. If you feel that, that price, might be a little high, then why don’t you try the original SteamWorld Dig for $9.99 USD. Either game is great, though I feel SteamWorld Dig 2 is slightly better, but it all comes down to your budget and doing what’s best for you. I know Image & Form would love your support no matter which game you purchased, and I do feel they are an indie developer that is deserving of your time and support. This entry was posted in Post, Reviews, Switch and tagged Image & Form, nintendo, Nintendo eShop, Nintendo Switch, review, Saint Killjoy, SteamWorld Dig, SteamWorld Dig 2, Switch, Travis Patterson. Bookmark the permalink.